It takes nine years for an electric car to be greener than a diesel car, on average. At the COP23 climate meeting, electric shuttles moved delegates across town, showcasing sustainable energy and green technology. But for farmer Zhang Tuling, green technology means dusty air and stunted crops. Mr Zhang lives near a large mine in northern China that extracts a key ingredient for batteries: natural graphite. He can testify to the hidden social and environmental toll of lithium-ion batteries - the very devices that enable renewable energy storage solutions, electric vehicles and mobile power. The battery market is anticipated to be worth $100 billion by 2025. By 2040, batteries storing solar power for businesses and households will account for 57% of the world’s energy storage capacity. The climate community has noticed. 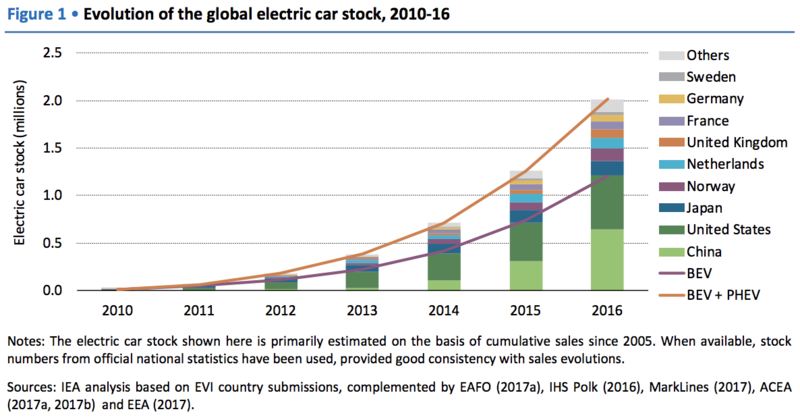 To keep global warming below 1.5 degrees, 100 million electric vehicles should be added to our roads globally by 2030, stated the 2015 Paris Agreement. This means a 50-fold increase from today’s numbers. 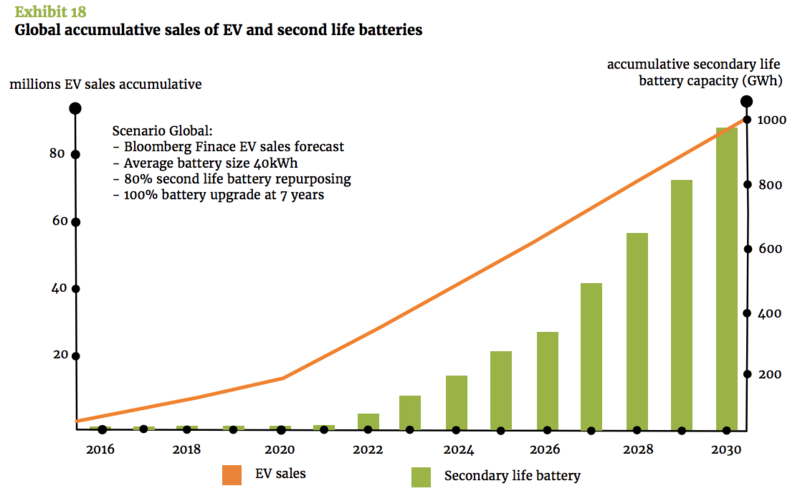 Batteries powering electric vehicles are forecast to make up 90% of the lithium-ion battery market by 2025. They are the main reason why electric vehicles can generate more carbon emissions over their lifecycle – from procurement of raw materials to manufacturing, use and recycling – than petrol or diesel cars. Three factors account for this. Firstly, producing an electric vehicle contributes, on average, twice as much to global warming potential and uses double the amount of energy than producing a combustion engine car. This is mainly because of its battery. Battery production uses a lot of energy, from the extraction of raw materials to the electricity consumed in manufacture. The bigger the electric car and its range, the more battery cells are needed to power it, and consequently the more carbon produced. Secondly, once in use, an electric vehicle is only as green as the electricity that feeds its battery. A coal-powered battery is dirtier than a solar-powered battery. Governments can help by speeding up their transition to greener energy. Thirdly, while an electric vehicle has a higher carbon footprint at the beginning of its lifecycle, it is typically cleaner once in use. Over time, it can catch up on the combustion engine car. The point at which an electric vehicle’s lifetime emissions break even with a combustion engine car also depends on the car’s mileage. For example, in Germany - where about 40% of the energy mix is produced by coal and 30% by renewables - a mid-sized electric car must be driven for 125,000 km, on average, to break even with a diesel car, and 60,000 km compared to a petrol car. It takes nine years for an electric car to be greener than a diesel car, assuming an annual average mileage of 13,500 km (as was the case in Germany in 2002, compared to 12,700 km in England in 2013). Most consumers will have bought a new car by then. The case is similar in the US, but less pronounced in nuclear-powered France. Unlocking the green potential of electric cars requires more than just increasing production. The system in which they operate must be sustainable too. Battery production causes more environmental damage than carbon emissions alone. Consider dust, fumes, wastewater and other environmental impacts from cobalt mining in the Democratic Republic of the Congo; water shortages and toxic spills from lithium mining in Latin America, which can alter ecosystems and hurt local communities; a heavily polluted river due to nickel mining in Russia; or air pollution in northeastern China, as mentioned above. As the car example shows, the negative environmental effects of batteries are reduced as the battery lifetime extends. Electric batteries from vehicles can be repurposed and re-used in a different industry, thereby doubling the battery lifecycle to about 20 years. When the capacity of electric car batteries drops below 70-80% after about 10 years of use, they are no longer strong enough to power the car. But they retain enough capacity for stationary storage in various contexts: in households, to balance power plants, or to electrify off-grid communities in rural areas. However, re-purposing batteries is costly. This is due to limited information and data-sharing about the residual value of battery capacity, a lack of standards, and regulatory uncertainty about liability once the battery changes owners and applications. Overcoming these barriers requires cross-industry, public-private initiatives. An estimated 11 million tons of spent lithium-ion batteries will flood our markets by 2025, without systems in place to handle them. This matters if we are to address climate change. We must use existing battery resources as best as possible, to avoid pollution from toxic waste and secure a strong supply of raw materials at low environmental cost. To recycle a battery, it currently costs €1 per kg. But the value of raw material reclaimed is only a third of that. Recycling lithium costs five times as much as extracting virgin material. Hence, only 5% of lithium-ion batteries are recycled in Europe. However, recycling could be worthwhile. Consider that in 2015, lithium-ion batteries consumed metals and minerals worth $2 billion. 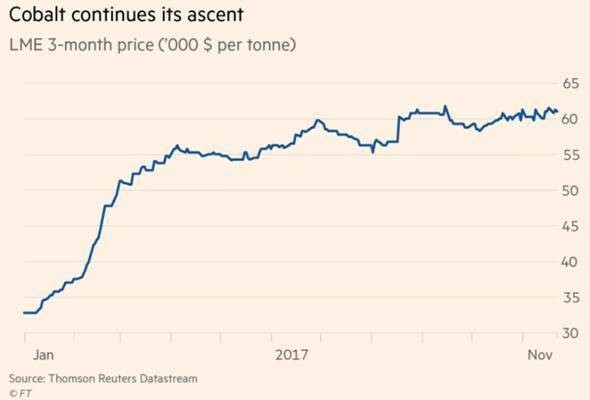 The price of cobalt rose by more than 80% over the past twelve months, and cobalt demand is estimated to double by 2020, to 200,000 tons per year. Demand for lithium is expected to quadruple by 2025, to 780,000 tons. Moreover, lithium is a valuable raw material. To reclaim one ton, 28 tons of batteries have to be recycled. But to extract one ton of virgin lithium from Chile, 1,250 tons of earth must be dug up. Overall, recycling is promising. But it is currently obstructed by several barriers, including the limited scale of batteries available for recycling; lack of battery standards to simplify recycling; an insufficient policy and incentive scheme to incentivize collection; and limited clarity about liability. Public and private organizations must work in tandem to change the systems underlying battery production and use, from regulation to corporate action and public awareness. The Global Battery Alliance is a new platform to enable this co-operation. Our climate revolution must not be carried out at the expense of other goals, or of people who can least afford it.